Airdrops Paid To in-App Wallet: Watch Out For More! On the 21st of August, we announced the official launch of our Android mobile application. 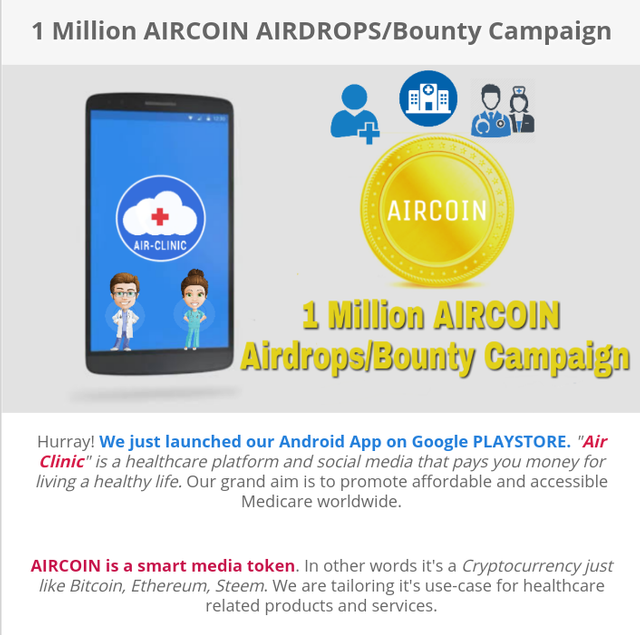 To celebrate that we hosted a massive bounty campaign to put some Aircoin tokens in the wallets of those interested in healthcare and Cryptocurrency. Our Airdrops was concluded on 18th of Sept, 2018. If you missed it, then watch out for the next one coming very soon. If you participated, login to your app and check your wallet. Your tokens should be there right now! Air-Clinic is that blockchain project that aims to change the way we use healthcare facilities all over the world. We can truly build a great decentralized economy and we are glad with the baby steps so far. Watch out for more news and updates as we keep developing the best platform for medical information consumption. Stay tuned! DELEGATE SP TO EARN MORE AIRCOIN! Old users should update their App version to the current one! Was the airdrop proportional to SP or something else? We have AIRDROPS for delegation. This particular one is referring to number of entries on our AIRDROPS and Bounty page. It was proportional to actions like social media following, likes, retweets,shares, reading articles etcz. It ended on 18th of Sept. Wait for the next round. Meanwhile, we are open to DELEGATORS. You get a monthly payout of Aircoin tokens 10x your delegation. Eg. 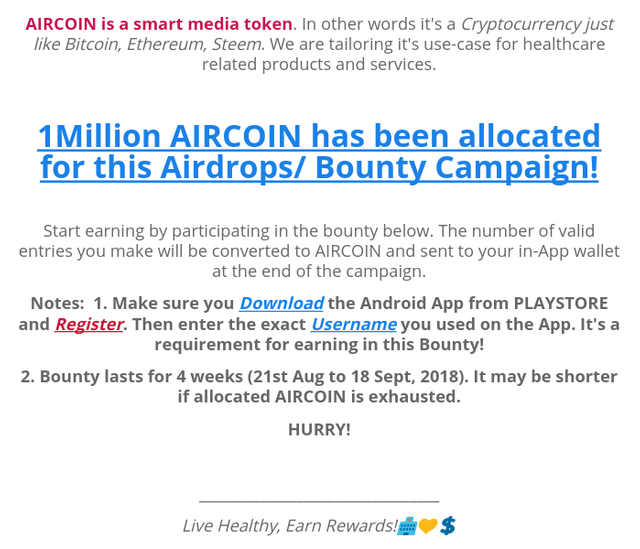 You can Delegate 100sp to get 1000Aircoin monthly (usually on 21st f the month). @air-clinic purchased a 38.75% vote from @promobot on this post.